This article had been acknowledged by the Editorial Committee of Materials Transactions as the secondary publication from the previously published paper, because the contents were almost identical. Recently, the original paper was retracted. Unreferred reproduction from another paper which was not pointed out in the announcement has also been found. Therefore, this article is improper as a scientific paper, and it is retracted with the primary author’s agreement. The authors are required to pay more careful attention to contributing papers. The paper — which has been cited 36 times, according to Clarivate Analytics’ Web of Science — was one of four of Inoue’s papers retracted on March 25 from the journal, which had retracted four of Inoue’s papers in 2012 and 2013, also for duplication. 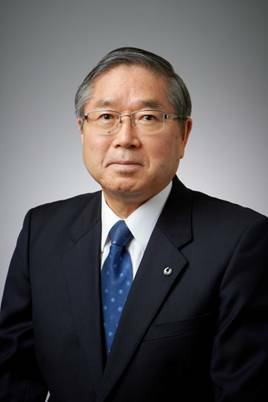 Inoue’s retractions date back to March 2011, when he and colleagues lost a paper in Applied Physics Letters for dual submission. That one is chalked up to “an inexcusable fault of the first author,” who was Baolong Shen, not Inoue. The paper continues to be cited, racking up 179 citations by now. Inoue lost another paper in the same journal just three months later, for the same reason, although Shen was not on that paper. Inoue has not responded to our request for comment. The notice has been issued to the authors to pay more careful attention to contributing papers.